“The conversation between doctor and patient… should be viewed as the single most important tool of medical care,” Danielle Ofri says at the end of her new book, What Patients Say, What Doctors Hear (Beacon Press, 2017). I find her conclusion gratifying, since nurses are trained in the importance of talking with and listening to patients (full disclosure: Ofri quotes me on this topic). In contrast, physicians are trained more in a “chief complaint–solution” model, so conversations often turn into physician monologues. While this is understandable, Ofri says, for the sake of high-quality patient care, it must change. Patients come into the health care system vulnerable and worried, with a story to tell about their illness. Physicians tend to meet them with a bevy of facts and a pressing sense that the clinic clock is ticking. But Ofri argues that taking the time to listen to the patient’s story is crucial to a successful clinical encounter, because that’s where the details of the illness are revealed. Whether the patient is recounting three days of persistent vomiting, showing a sudden angry rash, or asking for an explanation for unremitting fatigue, the story clarifies what has gone awry. Citing listening researcher Graham Bodie, Ofri notes that in any conversation the speaker and the listener—the physician or nurse and the patient—“co-create the meaning.” In Mr. Amadou’s case, although he was trying to convey his sense of real physiological need, Ofri was hearing only wheedling demands. It took a crisis for Ofri to fully grasp the meaning of his story. In another case, though, a patient with uncontrolled hypertension saw herself as a “bad person” because she couldn’t tolerate the prescribed medication; she was able to focus on managing her blood pressure only when Ofri made it clear that hypertension did not define her worth as a human being. That conversation allowed the patient to label hypertension—not herself—as the problem. Can any of us, nurses or physicians, say that we always listen as well as we should, giving each patient’s story our full attention? Like physicians, nurses feel the unrelenting pressure of time constraints. Although I try very hard to listen well, I’m sure there are times when I fail. 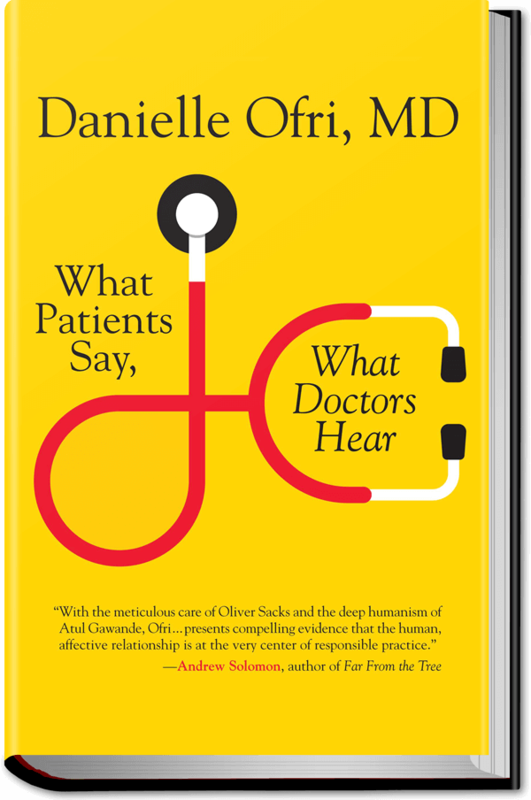 Ofri’s book reminds us that it is clinically important to listen to what our patients say. Ironically, such listening can save time in the long run. But the main reason for doing so is simple: in order to give patients the best care possible, we need to hear what they’re actually trying to tell us.